Version 5.7.2 includes the following changes and bug fixes. Wild Apricot is currently migrating to a new and improved customer support system so we can serve you better. During the transition period, the ability to submit support requests from within Wild Apricot has been temporarily suspended. For assistance with your Wild Apricot account, you can email Wild Apricot support at support@wildapricot.com or call (877) 493-6090 (toll-free in North America). For account billing issues, please send an email to billing@wildapricot.com. If you want to speak to a salesperson, send an email to sales@wildapricot.com. The Copy email to administrator checkbox that appears when setting up various automatic emails – including invoices, receipts, membership emails, event emails – has been renamed to Copy email to organization contact, which is a more accurate reflection of its default behavior. You can override this default behavior and change who receives these emails from the system routing settings. After you've inserted a document link, you can now edit the link. As part of editing the link, you can change the link destination, select a link style, and enter a tooltip. A simple email layout has been added to the layout options available when editing an email or email template. 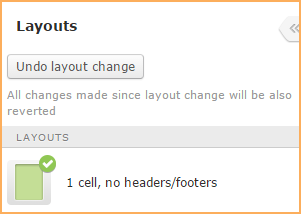 The layout is called 1 cell, no headers/footers and consists of a single-cell layout with no headers or footers. This new layout is used by the Simple email template. An Event calendar title setting has been added to the colors and styles settings for the following themesets: Bookshelf, Clean Lines, Dark Impact, Fiesta, Firma, Homestead, Showcase, Skyline, Terra, Treehouse, Whiteboard, and White Space. 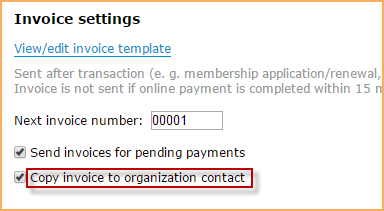 Using this setting, you can control the a ppearance of the Upcoming events and Past events headings on event calendars.